We bought tickets for a tour bus called Big Bus. It runs on a “hop on / hop off” system. That means that they drive around to all the major attractions, and you can get off the bus… explore on your own and then wait for the next bus to come around and take you to the next destination. The tickets are valid for 48 hours. 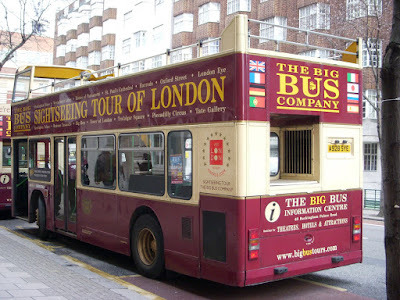 You can also buy tickets to selected attractions from the bus company to avoid long queues… example: St Paul’s Cathedral, Kensington Palace, Tower of London, London Eye and Madame Tussauds.